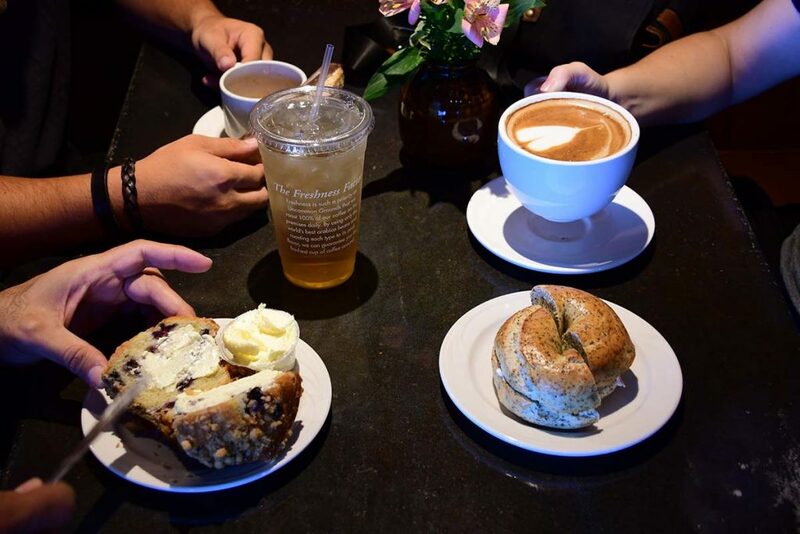 Our cafés are as much an integral part of our brand as our fresh roasted coffee and fresh baked bagels. In fact, our cafes serve as the stage that allow our coffee and bagels to shine. Warm, inviting and bustling with social activity, our cafés truly embody the “third place” concept. The term “third place” refers to a community space where people choose to gather outside of their home, the “first place”, and their work, the “second place”. 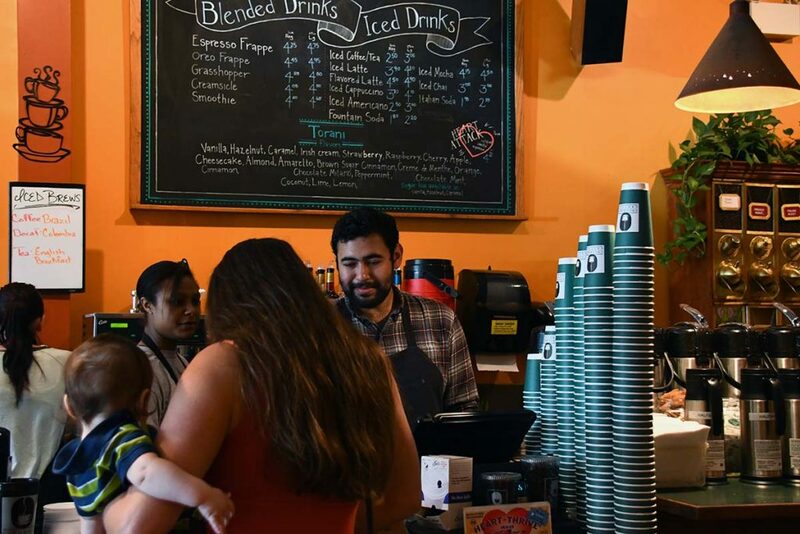 Collectively, our cafés are community hubs where all customers feel not only safe and comfortable, but also welcomed and accepted. It is within our relaxing cafés that the essence of humanity blooms. The dynamic mix of our customers create a vibrant and comforting pulse of conversation and activity. Together with the intoxicating aroma and soothing sounds of coffee being roasted and hot bagels being crafted into delicious concoctions, the current of positive, interpersonal human activity generates a multi-sensory experience that is appealing and truly unique. 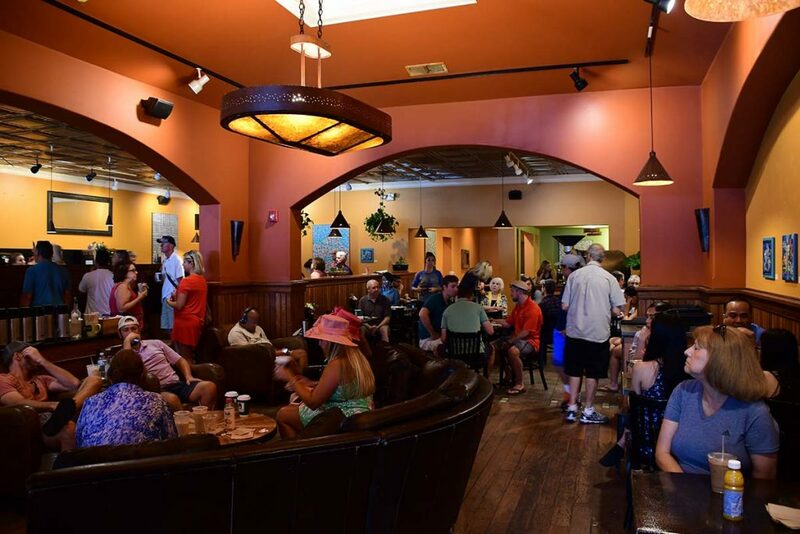 Stop by to experience and contribute to the thriving atmosphere of our “third place” cafés in Saratoga Springs, Albany, and Clifton Park.